I am a regular reader of Kindle eBooks and sometimes find it necessary to use the copy-paste feature to highlight a selection and use it elsewhere, say in a Word document. Kindle doesn’t seem to have the copy-paste functionality, or, I am unaware of it. You can copy text from Kindle ebooks and paste them in emails or documents though the process isn’t quite intuitive. Step 1. Open any ebook in your Kindle reader and make a selection – you can save the selection as a highlight or create a note. Step 2. Go to the Kindle menu and sync the changes. Step 3. Open kindle.amazon.com, sign-in with your Amazon ID that you used to register your Kindle, and choose the Your Highlights link. Here you will see all the highlighted passages in plain text that you can save / export to other formats. One more think. You can highlight notes in Kindle books in Kindle apps as well and not just the Kindle reader. This may work if you use a Kindle, but it does not work using a kindle app in Windows 8.1 or as an iphone app. It is hugely disappointing to have 21st century reader with 18th century requirements, namely to retype manually. I have been using basic utility programs for decades, and they use code to stipulate what was copied from books in their libraries. It insets copyright information as footnotes in Word documents. If copyright is an issue for Amazon/Kindle that is a very lame excuse. Or, you could just open in your Windows Kindle ap, highlight what you want to copy, and press control-C. Simply Awesome! Thank you so much! I bought a Kindle version of a book just so I could cut and paste parts of it into an InDesign Document for study purposes. I tried the method that Amit suggested, and found that with Kindle books that are improperly formatted to begin with, none of your highlighted material shows up in your account, even after you’ve synced it. There are also other problems with an improperly-formatted Kindle book, but all I wanted to do is be able to cut and paste. Most of the time you can learn this in advance by reading the reviews of frustrated readers who bought the book, and then had to call Kindle support to get a refund. Quality control, anyone? anyone? I guess there’s not much of it in the Kindle world, by all the complaints I see in the reviews section. Since I am using the Mac version of the Kindle app, I thought it would be a breeze to first highlight the section I wanted, then a menu pops up with four choices, one of which is “Copy.” The copy command under the File menu is disabled, and so is the keyboard shortcut ⌘-C. I first tried pasting into TextEdit, just to see if I was getting anything at all. I would worry about getting it into InDesign later, after I knew I could copy and paste into TextEdit. I was getting a tiny bit of text this way, but it was frustrating because I wasn’t getting all the text I wanted. I stumbled upon this solution, which worked well enough for me to copy and paste the entire chapter, a bit of a time, but in much larger chunks this way. 1. Go to View > Show Display Options. Make the type size as small as it will go. Now Hide Display options. 2. Next, click on the Multi-Column button on the top row of your Kindle app, below the row of application menus. 3. Now you should see a huge amount of text on the screen, displayed in two columns, with very small type. Select the entire page, and when it pops up right after you’ve made your selection, push the “Copy” button. 4. Paste it into TextEdit. It will be all jumbled up and need formatting, but at least this way you can scoop out the text and put it into a Word or other document where you can then format it. So my $20 bucks wasn’t wasted, and I didn’t have to call Amazon support to complain. Thank you for this useful information. Appreciate it. I use Chrome and an app called ACRExtension from GitHub. Works well for the copy/paste. would be nice for a bit more explanation so…. 2. look for the ‘raw source’ highlight. click on it and some very odd JAVA code appears. 6. paste the code copied in #3 into the URL area. when you highlight text and click, there will be a new copy button (if not, try clicking the bookmark, it gets stubborn sometimes). Hope this provides another way to do the copy/paste. It’s been working for me for a long time. OMG, thanks so much, this was very clear and awesomely helpful. May you be blessed with good health, or wealth, or love, or whatever it is you feel you want. teehee. I believe the author is Cosmin Cimpoi; from what little research I have done, he/she is from Romania. If this is not correct, please correct me. 1. Highlight the text you want to copy. 6. This show open up your default browser and Google search the highlighted text for you. This is by far the easiest solution I’ve come across. 3. Paste into your desired application! Thank you Amazon for making it easy. I need a whole chapter from a Kindle book to share with students. How do I do that? I can not do anything about anything written here. Everything is very detailed but does not work me. Use mac, Capitan. For example, if I Highlight desired text, the menu do not have “copy” option. and if I do the best description from Jim Carruth, (it’s really perfect dicreibed) but I can do until step 3, but I can not “do 2the “Copy” button”. Today is 11 Dec. 2015.
you cannot copy if you are in CLOUD READER…. 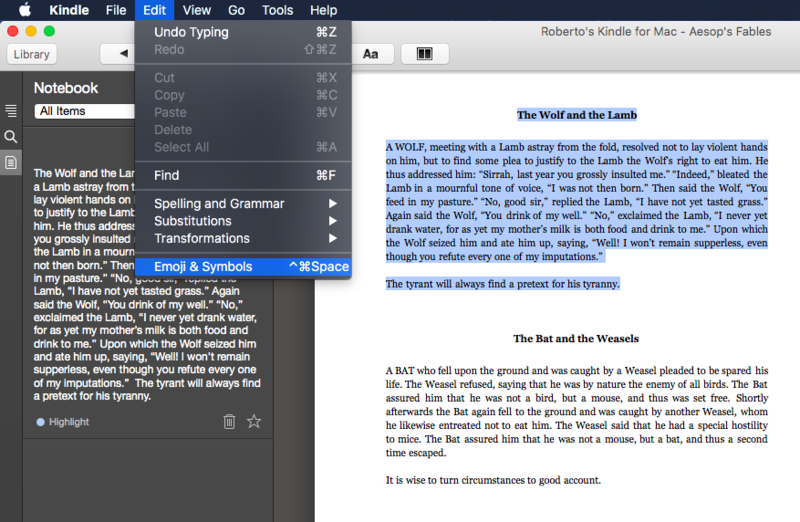 only in the Kindle for Mac of Kindle for PC…. at least, that has been my experience. So easy it’s GENIUS! Thanks bro. I maxed out on the times I was allowed to copy directly from Kindle. This solved it. Good but it only works 4-5 times. Then suddelly Google opens with noting in the search window. THIS WORKED!! Massimo you are a genius! This is brilliant and One Note makes screen clipping text searchable. I suspect – that only works with unprotected documents. That pop-up does not work in many of the apps. Wow! This worked GREAT!! Thanks, Amit. Sounds like that would probably be a breach of copyright. This is exactly the solution I used. Having paid $90 for a kindle textbook, I would assume I can at least copy paste the citation I need. Thanks, Massimo. I am designing journal for myself, and I wanted to include a small section of just writing prompts. So I bought an inexpensive kindle book of writing prompts, and for the life of me couldn’t figure out how to copy the ones I wanted. They have a lot of prompts about dark stuff like murdering and I didn’t want those in my journal. I had been taking screenshots, then pasting them into my DTP program and then saving as pdf files. Then I found an online pdf to text converter. So time consuming. Your way is so easy and it works. What I can’t figure out is why One Note has that feature, Copy Text from Picture, and advanced DTP programs don’t. Very frustrating…. 3. The left panel pulls out and up on the search field you’ll find your highlighted text. Is your book available on Kindle? If so, there’s nothing you can do about the methods here. But bear in mind that these methods only allow a section of a book to be copied at a time, and ultimately any media like books will always be possible to copy – if all else failed you could use a photo + OCR. Better to focus on making great content that people want to buy, and DMCA’ing the worst offenders. You’re already getting the same copy protection as the bestselling books in the Kindle store. There’s nothing more you can do. Believe it or not, the Google solution is the easiest one (highlighting the text, select More and Google, copy and paste the text that appears in Google search.) It is absolutely insane to have to do this. We have paid for these Kindle books, and we should be able to easily copy and paste the text. But given the situation, this is the best way. Can you do this with a Macbook Pro? 7 steps to copy something is easy? I hate this part of Kindle. November 2018. This does not work with Chrome or Windows 10. Highlighted passages cannot be copied. November 2018. This also does not work with Chrome or Windows 10. There is no ‘MORE’. November 2018. As noted above, this does not work with Chrome or Windows 10. There is no “More”. November 2018. This does not work with Chrome or Windows 10. Highlights can’t be copied. November 2018. This does not work without Word. I use WordPerfect and therefore don’t have the Windows Office system. I am desperate enough to sign up for GitHub, but googling it brought up a page with massive options. Any chance you could be more specific about getting to Step 2? Did you try the solution from Maurizio, below? Not that simple. If it’s under 10% of content, then fine. Use Kindle, what’s the need of copy paste? ?